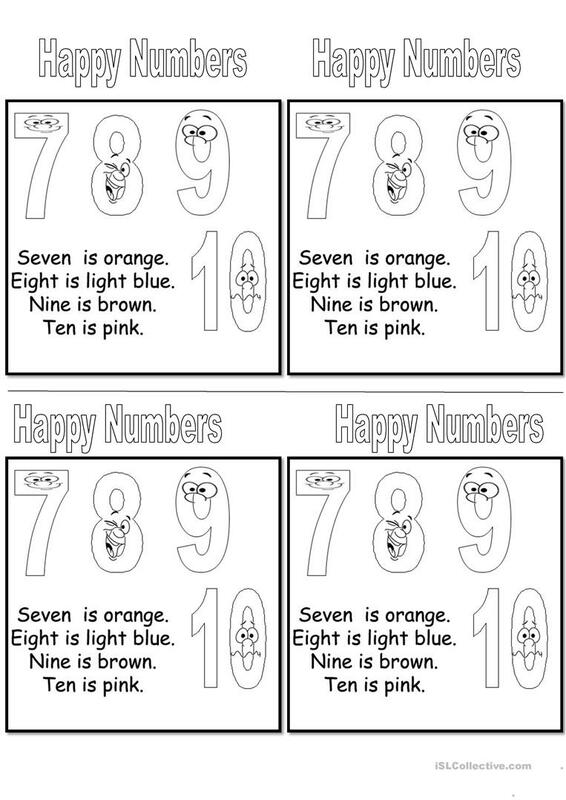 2nd B&W worksheet to practise numbers , colours .Sts have to colour the numbers if they can't read the teacher can read it. Kindergarten "sts" love working in this way. This printable, downloadable handout is a great resource for elementary school students, kindergartners and nursery school students and students with special educational needs, learning difficulties, e.g. dyslexia at Beginner (pre-A1) and Elementary (A1) level. It can be used for honing your pupils' Listening and Writing skills.